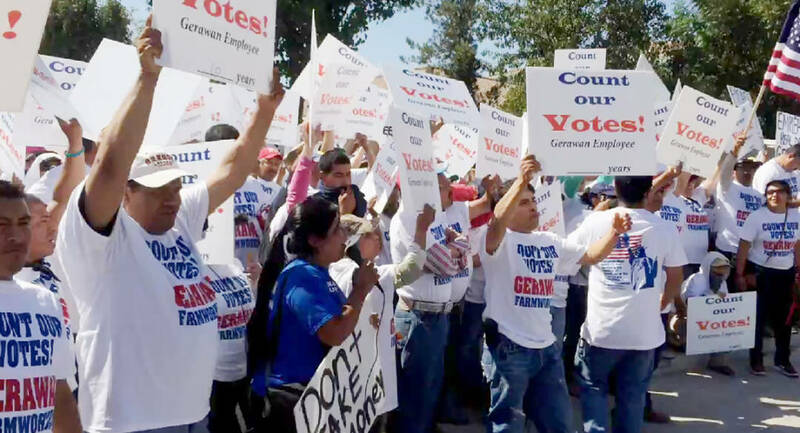 Tuesday September 18, 2018 was the day in which the Gerawan Farming workers’ ballots from 2013 were finally counted after being impounded and locked up for five years by the California Agricultural Labor Relations Board. Overwhelmingly the workers elected to decertify the United Farm Workers labor union from their workplace: 1,098 for “No Union,” and 197 for the UFW. 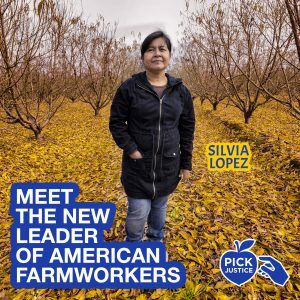 Thursday, that the California Agricultural Labor Relations Board issued their decision confirming the decertification of the United Farm Workers from Gerawan Farming, California’s largest stone fruit grower. Win! Win! Now that the ALRB has finally certified the votes, putting an end to their illegal collusion with the UFW to force Gerawan Farming’s thousands of workers into a labor union, it’s time to forever shut down the ALRB. I’ve been covering the Gerawan workers fight against the UFW since 2012. 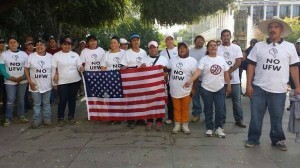 The UFW won an election to represent Gerawan Farming Company’s workers 26 years ago. But after only one bargaining session, the union disappeared and wasn’t heard from for more than 22 years. However, in October 2012, the union reappeared to impose a contract on Gerawan Farming and its employees — without a vote of the workers. The three board members of the ALRB, appointed by Gov. Jerry Brown, their attorneys and administrative law judge, spent nearly $20 million of California taxpayers dollars, to suppress the votes of 2,500 Latino immigrant farm workers who did not want the labor union in their workplace. This is what corruption is. The three current ALRB members are: Genevieve Shiroma, Cathryn Rivera-Hernandez, Isadore Hall III, all Democrats. One way to accomplish this is to shut down the corrupted ag labor board. “The California Agricultural Labor Relations Board was created in 1975 to ensure peace in the fields of California by guaranteeing justice for all agricultural workers and stability in agricultural labor relations,” the ALRB states. Yet at every turn since 2012, the ALRB colluded with UFW labor union leaders and thwarted the efforts of the farm workers to vote to decertify the union. Specifically, the three board members of the ALRB, at any given point since 2012, have violated their own agency mission, manipulated, sided with the UFW labor union, and conspired to suppress the will and votes of the workers. In May, an appellate court ordered California officials to count the ballots the Gerawan farm workers cast in 2013 to decertify the United Farm Workers Union from representing them. Those ballots had been locked up, uncounted, since the 2013 decertification election on orders of the California Agricultural Labor Relations Board. An ALRB administrative law judge even ordered the ballots destroyed, but the workers’ prevailed in court to stop the destruction of their ballots. Acting as an arm of the union, the ALRB did this not to protect the farm workers – as is the ARLB mission – but sided with the flailing United Farm Workers labor union. Gerawan petitioned the United States Supreme Court for review of California’s Mandatory Mediation and Conciliation law, which appears to collide with the First Amendment and due process principles. The Gerawan Framing case presents the question whether a state may impose contract terms on one private employer and its employees against their will by means of non-consensual arbitration. The need for U.S. Supreme Court intervention is particularly heightened in this case. The union that invoked the MMC statute against Gerawan Farming had “disappeared from the scene” for the preceding 26 years, during which time the union made literally no contact with Gerawan or its employees. In late 2012, the union resurfaced and invoked MMC, forcing pay and contracts onto farmworkers and employers without their input or vote, making them second-class workers. This is corruption: conspiracy, collusion and treasonous behavior betraying the workers. “I am speechless and beyond excited and happy because justice was finally done,” said Gerawan worker Silvia Lopez, who started and led the effort to decertify the UFW. Dan Gerawan is hopeful the U.S. Supreme Court will take up his case and rule on whether imposing a union contract on employers violated his Constitutional rights, and the Constitutional rights of his employees. In the meantime, Californians need to demand the shut down of the corrupt Agricultural Labor Relations board.